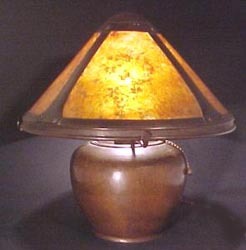 Dirk van Erp was a master craftsman and coppersmith who established a studio in San Francisco, California to produce very high quality, hand worked production of lamps and other furnishings in the Arts and cCrafts style. Like most arts and crafts pioneers, production was relatively limited. At his peak, van Erp employed no more than 13 coppersmiths who manufactured his designs, and some reports cite as few as 5 not including his son and his daughter Agatha who worked at the company. Two of his metalsmiths, August Tiesselinck and Harry Dixon, eventually established their own shops to produce Arts and Crafts works similar to van Erp. Unlike Tiffany Studios lamps which were produced according to blueprints and forms, Dirk van Erp production was completely handmade and resulted in subtle variations in size, style, and hammering of the individual work. Dirk van Erp was a native of Leeuwarden in the Netherlands where he learned his craft working in the family hardware business. van Erp emigrated to the United States in 1886, traveling to San Francisco where he began working metal forms by hand hammering vases from discarded brass military shell casings while employed at the Mare Island Naval Shipyards. He gave some pieces away to his friends but increasingly sold them at crafts fairs, creating positive word of mouth and growing success. 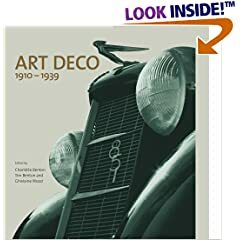 He opened his first retail store, The Copper Shop, in Oakland, California in 1908, and he established Dirk van Erp Studios in San Francisco in 1910, producing primarily lamps with hammered copper bases and mica shades. Dirk van Erp used only the very highest quality materials and adhered to the principles of hand working with simple tools and limited production of items. These principles distinguished van Erp work from similar styles produced by Roycroft which evolved into more of a mass market operation. In addition to lamps, van Erp manufactured an assortment of hand hammered trays, bowls, candlesticks, bookends, desk accessories, and vases according to the same principles of quality and craftsmanship. Most work was in copper although brass, iron, and other metals were also used. The van Erp mark of a windmill (reminding him of his origins in Holland) over the name Dirk van Erp appears on most all Dirk van Erp Company production. 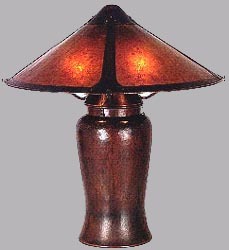 All period Dirk van Erp production is well collected today, with lamps bringing the highest values and usually considered the pinnacle of Arts and Crafts design. 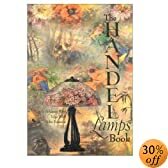 Most of his lamps were produced on a commission basis and represented approximately 25% - 35% of total output. Dirk van Erp lamps were expensive even at the time of their production, retailing for approximately $25 to $150. Van Erp occasionally collaborated with other top arts and crafts manufacturers such as Grueby, but for the most part van Erp Studios continued to produce finely styled and hand crafted metalwork with only the handful of skilled craftsmen he employed. Buy period Arts & Crafts and Art Deco furniture and objects on the Collectics Fine Antiques pages, or search the entire site for great antiques, collectibles, and crafts for every collector! Sell or consign period Arts & Crafts period lamps, pottery, glass and other smaller objects at Collectics, where we earn our customers' trust everyday! Read about our top performing national consignment program for estate and personal collections.